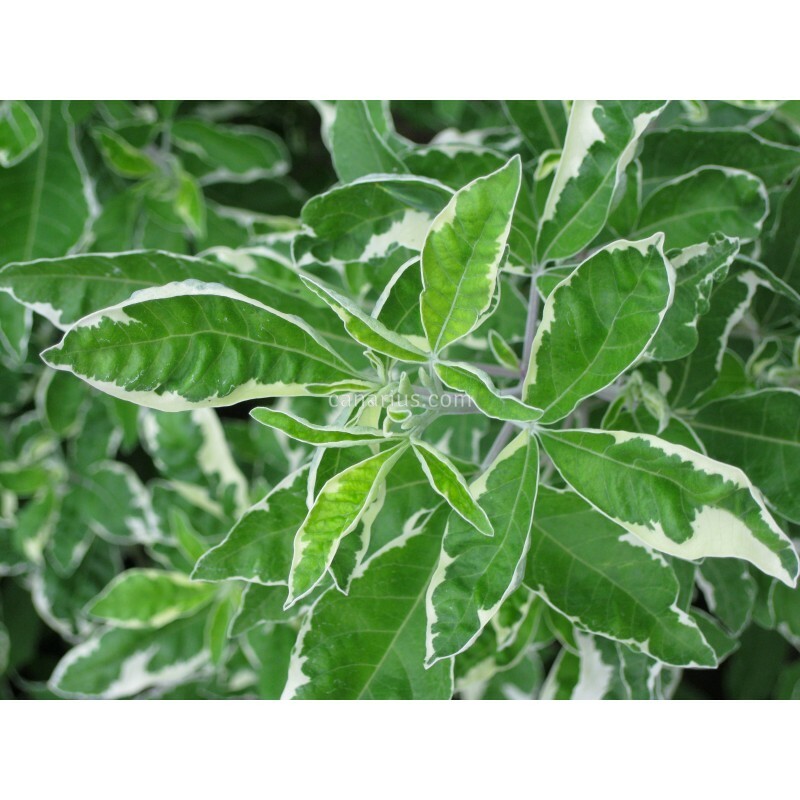 The crinkled leaflets of this variegated "Verbena Tree" or "simpleleaf chastetree" are margined in clear bright white--with maturity this beautifully variegated woody slim shrub produces misty pastel lilac clusters of tiny blossoms. It can reach up to 4 m but it is usually kept at 1 - 1,5 m by pruning. 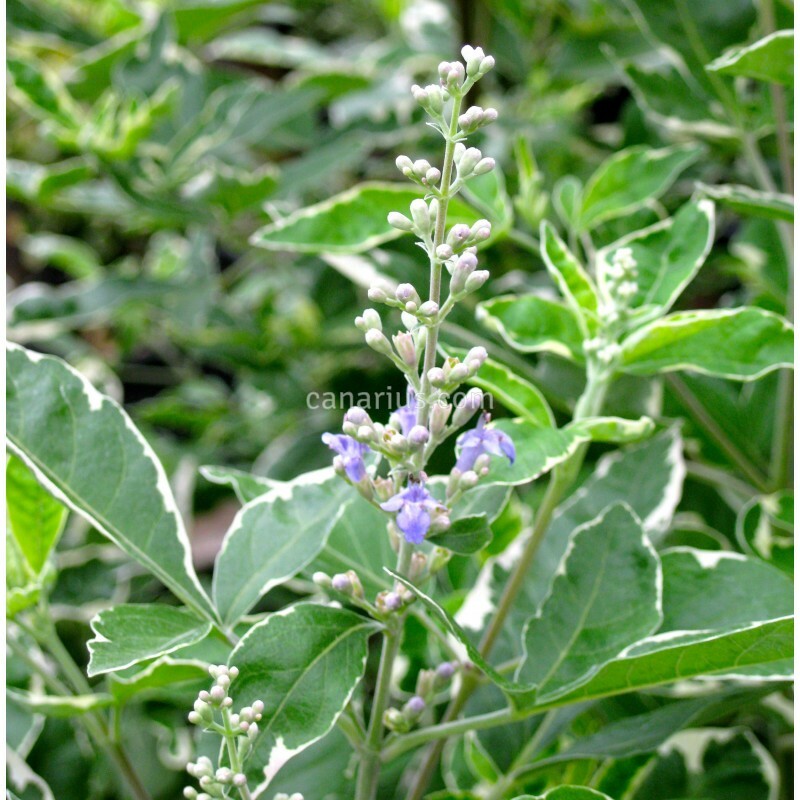 The crinkled leaflets of this variegated "Verbena Tree" or "simpleleaf chastetree" are margined in clear bright white--with maturity this beautifully variegated woody slim shrub produces misty pastel lilac clusters of tiny blossoms. 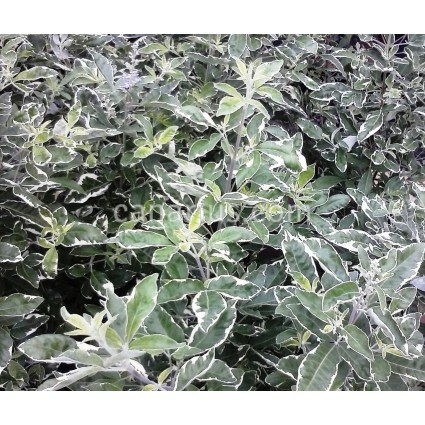 It can reach up to 4 m but it is usually kept at 1 - 1,5 m by pruning. Native from E Africa through South Asia into Australia, this striking shrub-tree performs well outdoors in coastal mediterranean to tropical conditions; nonetheless, it also is quite striking as a container plant in the north, certainly a natural for training into a spectacular standard.